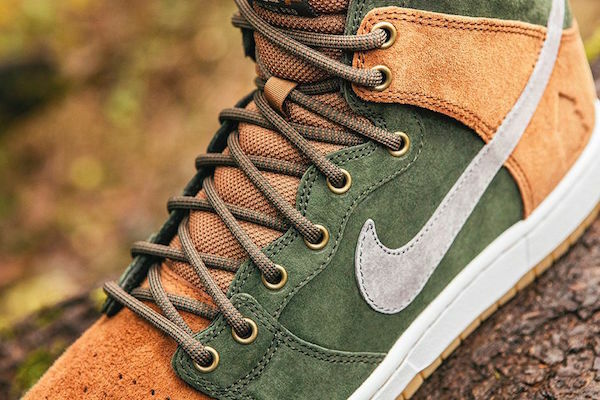 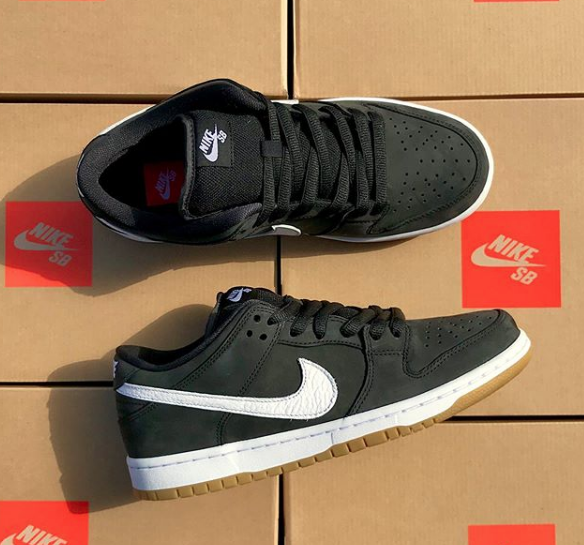 Here’s a preview of an upcoming Quickstrike from Nike SB, NIKE SB DUNK HIGH PREMIUM “HOMEGROWN” (Sequoia/ Cool Grey/ Ale Brown). 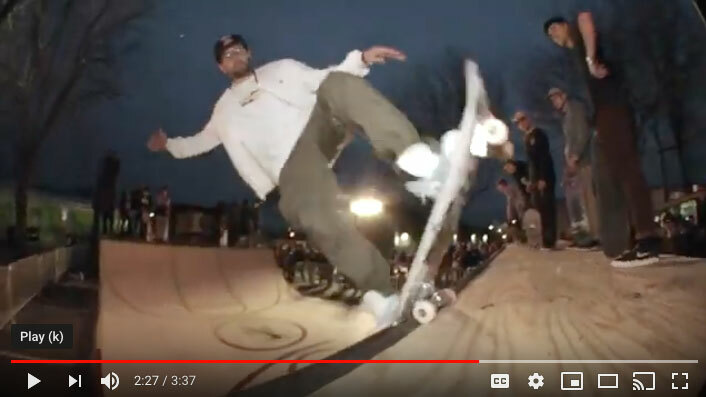 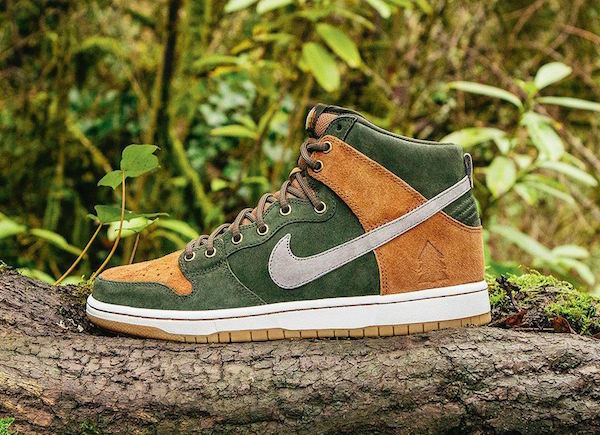 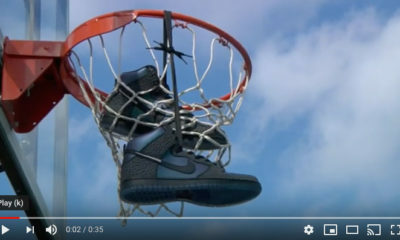 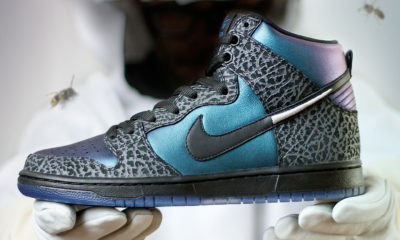 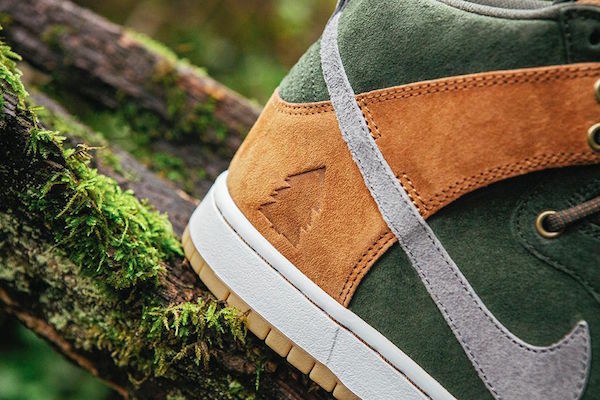 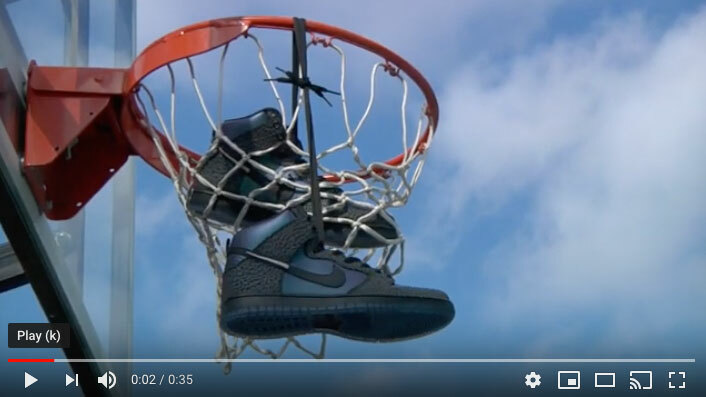 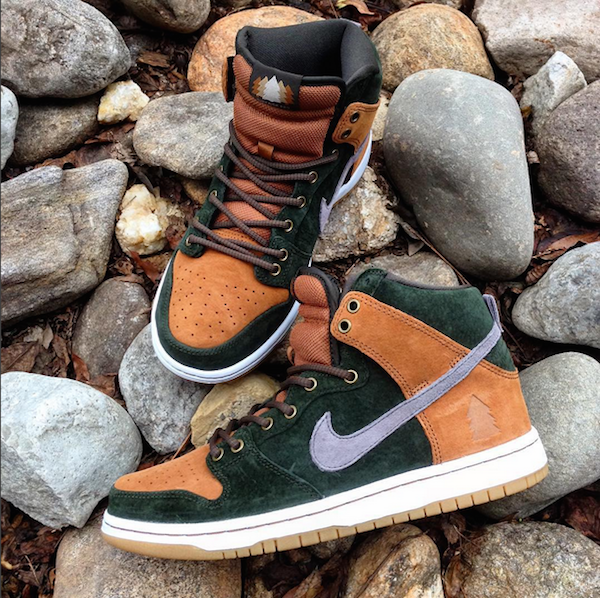 These kicks are a collaboration from Homegrown Skateshop in Ithaca, NY and feature a bangin’ “outdoorsy” interpretation on the classic Dunk High. 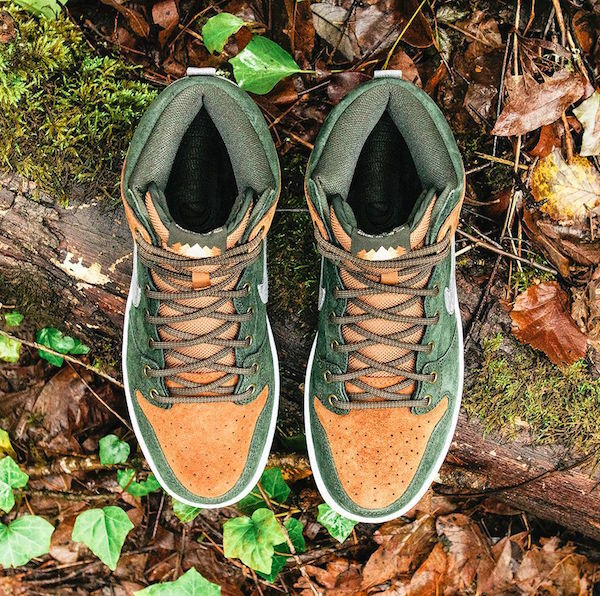 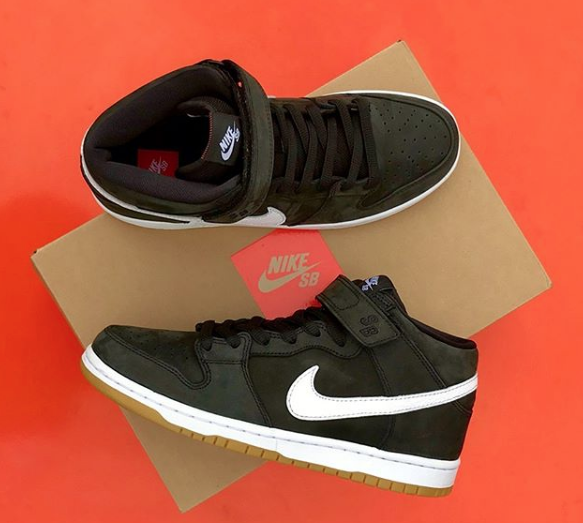 The Dunks sport an earth tone palette of “Sequoia” Green, Cool Grey, and “Ale” Brown and a buttery premium all pig suede upper. 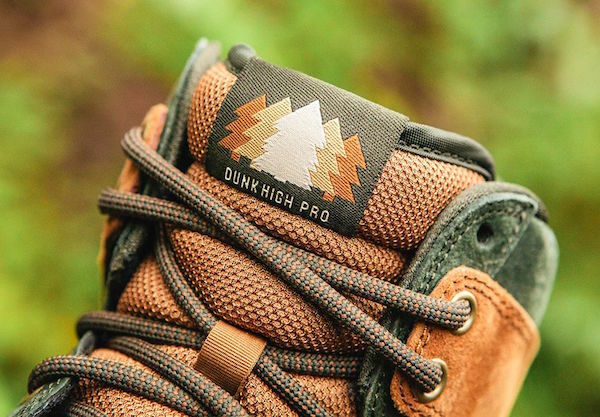 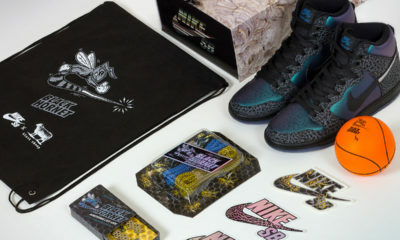 Also features some great details like “boot style” rope laces and metal eyelets, an embossed tree logo on the heel panel, and custom tongue labeling.